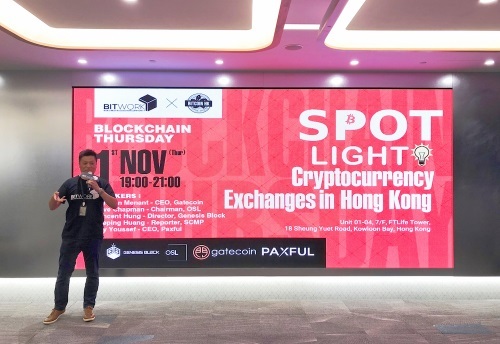 HONG KONG, Nov 5, 2018 - (ACN Newswire) - In order to offer clients efficient trading experiences and extensive customer support. 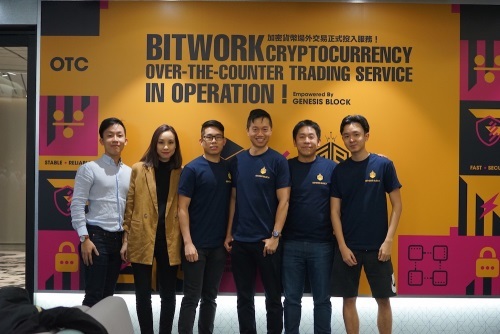 BITWORK is pleased to announced that we cooperated with Genesis Block, Hong Kong's premier cryptocurrency over-the-counter (OTC) trading centre, established a trading desk at BITWORK to provide cryptocurrency trading service to retail and institutional buyers or sellers with a stable, reliable, fast and secure trading services. Over-the-counter (OTC) trading services enable individuals and institutions to buy and sell cryptocurrencies at ease without concerns of market liquidity and order book discovery. BITWORK now offers trading with four cryptocurrencies, such as Bitcoin, Ethereum, USDT and BCH. The Bitcoin vending machine are also set up in BITWORK office to facilitate buyers for trading. Co-Founder of BITWORK, Mr. Raymond Chan said "Apart from the existing educational programs, events, project accelerator program, capital management and other relating services, BITWORK will now provide cryptocurrency OTC trading services. Through our close cooperation with Genesis Block, we hope to provide investors with an effective processing of large payment transactions. Meanwhile, BITWORK will refer potential clients to them, and executing the transactions for these organizations." OTC transaction enables large payment transactions without affecting the overall market price. As such, many clients with large payment transaction would prefer OTC trading, in order to avoid any loss caused by significant price fluctuations. Such trading is notably appealing to many investors. Genesis Block is the premier OTC trading floor in Hong Kong. We provide liquidity to retail and institutional buyers and sellers of digital assets. We are also working to build the community by offering OTC Trading, ATM Service, Mining equipment and dedicated education and events. Co-founder Mr Raymond Chan from BITWORK delivered his speech.